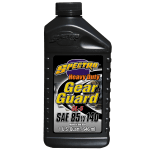 This is the top of the line, a fully synthetic lubricant formulated specifically to run in Harley® Big-Twin transmissions. 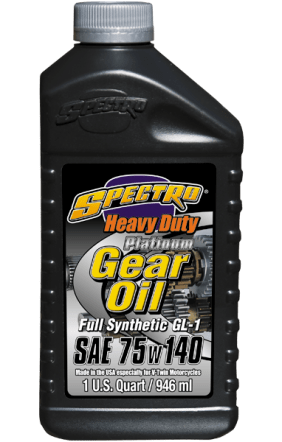 We combine the leading synthetic PAO base oils with the most advanced additive package available today, to delivers maximum performance right through high loads and extreme heat. Heavy Duty Platinum reduces drag, friction losses, wear, and extends gear life. It also provides exceptional temperature stability for easier, smoother shifting. A.P.I. GL-1 rated. Dyed green.